Generation Z (also known as iGeneration , Post-Millennials , or Homeland Generation ) is the demographic cohort after Millennials . Currently there are numerous additional competing names used in connection with them in the media. There are no precise dates for when this cohort starts or ends, but demographers and researchers typically use the mid-1990s to mid-2000s as starting birth years. At the present time, there is little consensus regarding ending birth years. Most of Generation Z have used the Internet since a young age, and they are generally comfortable with technology and with interacting on social media . A 2013 survey by Ameritrade found that 47% of Generation Z in the United States (considered here to be those between the ages of 14 and 23) were concerned about student debt , while 36% were worried about being able to afford a college education at all. This generation is faced with a growing income gap and a shrinking middle-class, which all have led to increasing stress levels in families. Both the September 11 terrorist attacks and the Great Recession have greatly influenced the attitudes of this generation in the United States. Since even the oldest members of Generation Z were young children or not yet born when the 9/11 attacks occurred, there is no generational memory of a time the United States was not at war with the loosely defined forces of global terrorism. Turner suggests it is likely that both events have resulted in a feeling of unsettlement and insecurity among the people of Generation Z with the environment in which they were being raised. The economic recession of 2008 is particularly important to historical events that have shaped Generation Z, due to the ways in which their childhoods may have been affected by the recession's shadow; that is, the financial stresses felt by their parents. Although the Millennials experienced these events during their coming of age, Generation Z lived through them as part of their childhood, affecting their realism and world-view. Generation Z is generally more risk-averse in certain activities than earlier generations. In 2013, 66% of teenagers (older members of Generation Z) had tried alcohol, down from 82% in 1991. Also in 2013, 8% of Gen. Z teenagers never or rarely wear a seat belt when riding in a car with someone else, as opposed to 26% in 1991. In 2015, Generation Z composed the largest portion of the U.S. population, at nearly 26%, edging out Millennials (24.5%), and this group is estimated to generate $44 billion in annual spending. About three-quarters of 13–17 years olds use their cellphones daily, more than they watch TV. Over half of surveyed mothers say the demo influences them in purchasing decisions for toys, apparel, dinner choices, entertainment, TV, mobile and computers. Among social media, Instagram and Snapchat are the most popular in the demo. One study has shown that teenagers in 2012 were more likely to share different types of information than teenagers in 2006 were. However, they will take certain steps to protect certain information that they do not want being shared. They are more likely to "follow" others on social media than "share" and use different types of social media for different purposes. Focus group testing found that while teens may be annoyed by many aspects of Facebook, they continue to use it because participation is important in terms of socializing with friends and peers. Twitter and Instagram are seen to be gaining popularity in member of Generation Z, with 24% (and growing) of teens with access to the Internet having Twitter accounts. This is, in part, due to parents not typically using these social networking sites. Snapchat is also seen to have gained attraction in Generation Z because videos, pictures, messages send much faster than regular messaging. Speed and reliability are important factors in members of Generation Z choice of social networking platform. This need for quick communication is presented in popular Generation Z apps like Vine and the prevalent use of emojis . 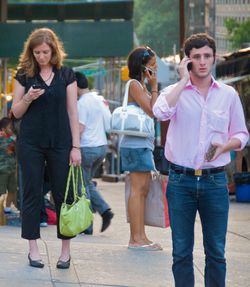 The development of technology gave mobility and immediacy to Generation Z's consumption habits. The on-demand economy, defined as “the economic activity created by technology companies that fulfill consumer demand via the immediate provisioning of goods and service”,  has made changes in the way goods or services are delivered to consumers. Only the generation that grows up in the center of this transformation period will establish themselves as an immediacy demanding consumer. Generation Z college students prefer intrapersonal and independent learning over group work, yet like to do their individual work alongside others when studying. They like their learning to be practical and hands-on and want their professors to help them engage with and apply the content rather than simply share what they could otherwise find on their own online. In a study conducted in 2015 the Center for Generational Kinetics found that American Generation Zers, defined here as those born 1996 and onwards, are less optimistic about the state of the US economy than their generation predecessors, Millennials. In the same study, American Gen Zers were found to be less optimistic about the United States' trajectory in general, less concerned about illegal immigration than previous generations, and more concerned about the state of minorities in the US. Despite this, 78% of American Gen Zers believed the American Dream was attainable. Despite the technological proficiency they possess, members of Generation Z actually prefer person-to-person contact as opposed to online interaction. As a result of the social media and technology they are accustomed to, Generation Z is well prepared for a global business environment. Another important note to point out is Generation Z no longer wants just a job: they seek more than that. They want a feeling of fulfillment and excitement in their job that helps move the world forward. Generation Z is eager to be involved in their community and their futures. Before college, Generation Z is already out in their world searching how to take advantage of relevant professional opportunities that will give them experience for the future. In the United Kingdom , Generation Z will be the first to enter the employment market post the UK's departure from the EU ( Brexit ),They will be the first to have little experience of adult life inside the EU. "How to attract and engage Millenials: Gen Y + Gen Z"
"Gen-Z Matters More than Millennials"
All information for Generation Z's wiki comes from the below links. Any source is valid, including Twitter, Facebook, Instagram, and LinkedIn. Pictures, videos, biodata, and files relating to Generation Z are also acceptable encyclopedic sources. 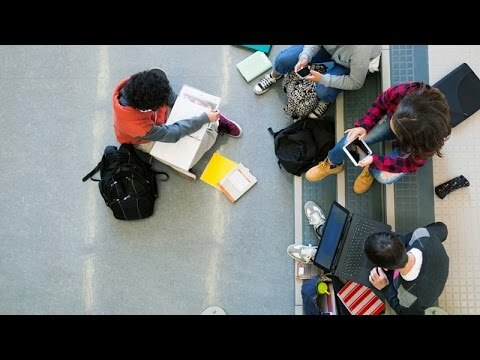 "50k 'Gen Z' Students Identify as Republican – Hispanic Heritage Foundation"
"Sexual Inactivity During Young Adulthood Is More Common Among U.S. Millennials and iGen: Age, Period, and Cohort Effects on Having No Sexual Partners After Age 18"
"Getting Ready for Generation – Z"
"CONSUMER INSIGHTS, J. WALTER THOMPSON INTELLIGENCE Meet Generation Z"
"After Gen X, Millennials, what should next generation be?" "Introducing the Homeland Generation (Part 1 of 2)"
"The Next 20 Years: How Customer and Workforce Attitudes Will Evolve"
Combi, Chloe (2015). Generation Z: Their Voices, Their Lives. London: Hutchinson. "A Look Into the Minds of Generation Z Consumers"
"Z is for Generation Z"
"From GIs To Gen Z (Or Is It iGen? ): How Generations Get Nicknames"
"The First Generation of the 21st Century: An Introduction to the Pluralist Generation"
"Turner Says the Post-Millennial Generation Should Be Known as 'Plurals'"
"A new generation gets a name: Plurals." "How to Spot a Member of Generation Z"
"Centennial Infographic - The Futures Company"
"Japanese Youth and Mobile Media"
"Trumping the Super Youth Vote Too"
"Here’s What MTV Is Calling the Generation After Millennials"
"Superannuation and the Under 40s: Summary Report: Research Report on the Attitudes and Views of Generations X and Y on Superannuation"
"Owning a cell phone is rite of passage for teenagers"
"This Gen Z Infographic Can Help Marketers Get Wise to the Future Here come the social natives"
"managing Gen Y and Z in the workplace"
"7 Things Employers Should Know About The Gen Z Workforce"
"A New Generation Debuts: Plurals." "Move Over, Millennials, Here Comes Generation Z"
"Gen Z: Unlike the Generation Before"
"15 Aspects That Highlight How Generation Z Is Different From Millennials"
"Move Over Millennials, Here Comes Generation Z: Understanding the 'New Realists' Who Are Building the Future"
"Goldman Sachs chart of the generations"
"THE THAI MARKET TO WATCH AND THEIR PLAYERS: GENERATION Y – THE DRIVING FORCE OF CONSUMPTION TRENDS IN THAILAND"
"Move Over, Millennials: Why 20-Somethings Should Fear Teens"
"Generation Z: Technology and Social Interest"
"Column: High-maintenance Generation Z heads to work"
"America's Youth Have Spoken: Hillary Clinton Is Generation Z's Choice for President"
"5 Reasons Why Millennial Leaders Need Performance Feedback"
"Generation Z Breaks Records in Education and Health Despite Growing Economic Instability of Their Families"
"Teenagers' Health, Educational Outcomes Improving, Report Finds"
"Meet Generation Z: Forget Everything You Learned About Millennials"
"Should CellPhones Be Allowed in School?" "Mobile and interactive media use by young children: The good, the bad and the unknown"
"The 'On-Demand Economy' Is Revolutionizing Consumer Behavior"
"Teens, Social Media & Technology Overview 2015"
"Teens, Social Media, and Privacy." 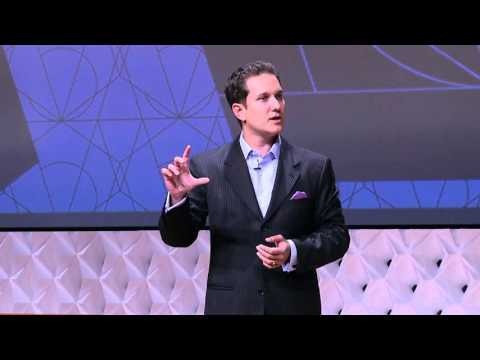 "Internet use and developmental tasks: Adolescents' point of view"
"Jason Dorsey TEDx Talk On Generation After Millennials: iGen Gen Z"
"Rise of Gen Z: new challenge for retailers"
"'Generation Z' is entrepreneurial, wants to chart its own future | news @ Northeastern"
"Here Comes Generation Z. What Makes Them Tick?" "Make Way for Generation Z"
"Introducing the tech-savvy Generation Z"
"India – Generation Z professionals start out better in jobs market than Generation Y"
"What comes after Generation Z?" "Meet Alpha: The Next 'Next Generation'"
"Here's who comes after Generation Z - and they're going to change the world forever"
"Babies born from 2010 to form Generation Alpha"
"Have Smartphones Destroyed a Generation?" "Gen Z is the most conservative generation since those born before 1945"
"MC Lars – iGeneration — Critical Commons"
"The Scoop on Millennials' Offspring — Gen Z"
"Gen Z, Gen Y, baby boomers – a guide to the generations"
"Who Comes After the Millennials? : A Case for 'Gen 9/11'"
"Turner Research Shares Key Insights on Plurals and Millennials' Media Consumption and Consumer Behavior During Thought Leadership Event in New York"
"Digital Reading and Reading Competence – The influence in the Z Generation from the Dominican Republic"
"'Can a kid start a business?'" "Post-millennial military: What to expect from the next generation"
"Millennials overtake Baby Boomers as America's largest generation"
"Infographic: Gen Z Voter and Political Views Election 2016"
Other wiki pages related to Generation Z.